Dominican Master Theses can be found in two places: in the library and in Dominican Scholar, our online instiutional respoitory. Master's These from 2012-present are available in Dominican Scholar. From the library homepage, Click Dominican Scholar. 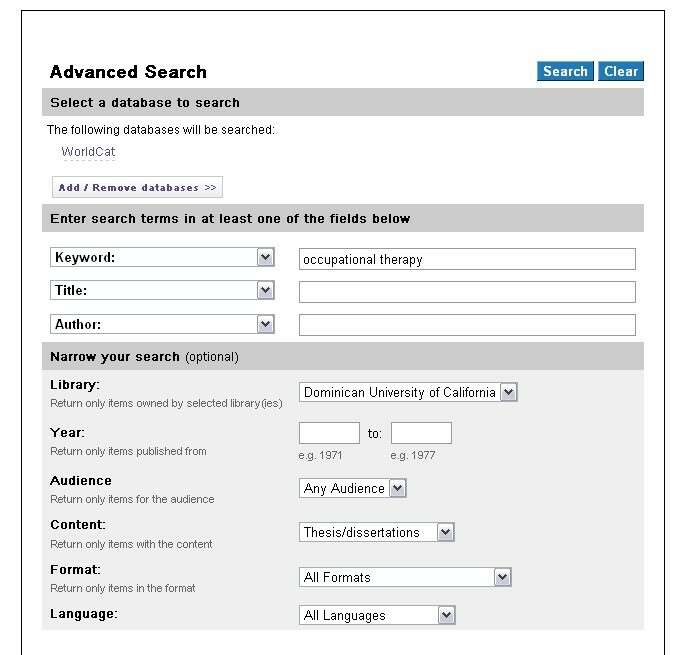 Under "Browse Research and Scholarship" click "School, Department, or Program". Click on the program you seek. Masters Theses from 2011 and prior are in print in the library on the first floor we have.